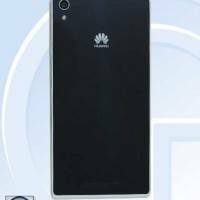 It's been a long while since we've last heard about Huawei's next flagship, but now it seems that the Ascend P7 will soon be ready to take flight. 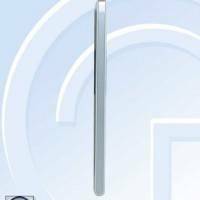 A collection of photos from China's TENAA agency reveals some possible features of the smartphone, including dual SIM support and a double glass design. The profile view of the Ascend P7 reveals two adjacent flaps beside a power button whose shape and placement reminds of the Sony Xperia Z1. While there is no specific indication that both flaps cover SIM slots, should the Ascend P7 lack any extensible storage feature, then that is the only other possibility. Also not evident but somewhat implied in these batch of photos is the possibility of the smartphone sporting glass sheets not only in front but also for the rear of the device. The back cover has itself also been the focus of varied leaks and rumors, some of them conflicting with each other. If this TENAA certification represents the final design, then we have a clear winner, which, interestingly, isn't the same as the leaked press renders shown last February. Not only do we have a distinctly different camera and LED flash design, which shows no room for dual LED flash, but the placement of the front-facing speakers, camera, and sensors are also dissimilar. 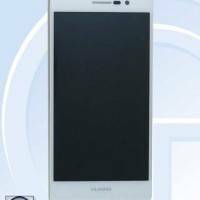 The Huawei Ascend P7 is expected to sport rather current specs, like a 5-inch 1080p screen, 2 GB of RAM, 16 GB of internal storage, and a 1.6 GHz quad-core HiSilicon Kirin 910 processor. The device is said to support LTE of the TD-LTE kind, which, unfortunately, means little if no support in the US unless Huawei decides to out a variant that specifically caters to the US.